Have a Cough that Won't Go Away? Dr. Mandel Sher Can Help. 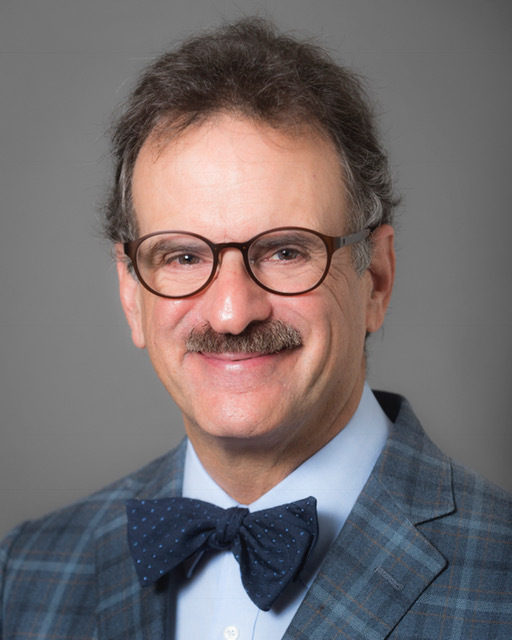 Congratulations to Dr. Mandel Sher and four of his esteemed Cough scientific and clinical colleagues from the United Kingdom, Ireland, and San Francisco on their appointment to a 5-person Clinical Advisory Board of BELLUS Health. BELLUS Health recognizes this 5-person team as internationally-renowned Cough experts. BELLUS Health is a biopharmaceuitcal company developing novel therapies for conditions with high unmet medical need including Chronic Cough. Dr. Mandel Sher and his Cough colleagues’ role on the Clinical Advisory Board is to provide strategic guidance and support to the development of BELLUS Health’s lead drug for Chronic Cough. Dr. Jaclyn Smith is Chair of the Clinical Advisory Board. The first meeting was held on September 24, 2018 in London. 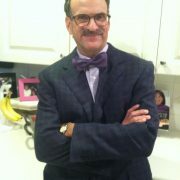 Dr. Mandel Sher, Founder of Center for Cough: 727-393-8067. www.centerforcough.com. Dr. Jaclyn Smith, MB, ChB, FRCP, PhD, Chair of the CAB, is a Professor of Respiratory Medicine at the University of Manchester in the United Kingdom and an Honorary Consultant at the University Hospital of South Manchester NHS Foundation Trust. She leads a multi-disciplinary research team whose focus is on understanding mechanisms underlying pathological cough and runs a regional clinical service for patients with refractory chronic cough. Dr. Smith is also the Director of the NIHR Manchester Clinical Research Facility. In collaboration with Mr. Kevin McGuinness (Clinical engineer), she has developed a novel method for automated cough detection. 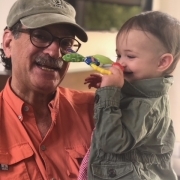 Dr. Alan Goldsobel, MD, is a practising allergist and immunologist, a Clinical Professor of Medicine at the University of California, San Francisco and an Adjunct Clinical Professor of Pediatrics at Stanford University Medical School. He is also a Fellow of the American Academy of Allergy, Asthma & Immunology and past president of the California Society of Allergy, Asthma & Immunology. Dr. Goldsobel is co-director of the Allergy and Asthma Clinical Research Center in San Jose, CA where he has served as principal investigator for clinical trials of many of the new therapeutic agents for chronic refractory cough. He has published numerous scientific articles and book chapters in allergy and asthma and his area of interest, cough. Dr. Lorcan McGarvey, MD, FRCP, is a Consultant Respiratory Physician and Professor of Respiratory Medicine at Queen’s University of Belfast, Northern Ireland. His main programme of research has focused on the clinical and scientific aspects of acute and chronic cough. Dr. McGarvey has been a core contributor to the British Thoracic Society and European Respiratory Society cough guidelines and serves on the American College of Chest Physicians Cough Guidelines Expert Committee. Dr. Alyn Morice, MD, is a Professor of Respiratory Medicine, Head of Medicine, Hull York Medical School, University of Hull in the United Kingdom. He specialises in the diagnosis and treatment of cough and runs the Hull Cough Clinic, the first UK Cough Clinic which he established in 1989 and which has become the largest centre within Europe with an international pattern of referral. Professor Morice has led the European Respiratory Society and British Thoracic Society Taskforces on Cough. He also runs the Hull Respiratory Clinical Trials Unit specialising in the treatment of the airways diseases associated with cough. 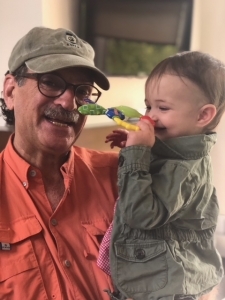 Dr. Mandel Sher, MD, is a community-based clinician of pediatric and adult allergy, University of South Florida’s Clinical Professor and former Interim Division Chief of Allergy and Immunology of University of South Florida located at Johns Hopkins/All Children’s Hospital. With a unique sub-specialty in Refractory/ Recalcitrant/Idiopathic chronic cough, Dr. Sher established the Center for Cough in Florida in 2009, which combines existing evidence-based approaches with innovative therapeutic modalities to improve chronic cough patients’ clinical outcomes. Chronic Cough has significant consequences for a person’s well-being and physical and mental health. Chronic Cough can be effectively treated and resolved. Contact Dr. Mandel Sher: 727-393-8067. www.centerforcough.com. Dr. Mandel Sher saved a stranger’s life. The importance of knowing CPR and taking appropriate action in time of emergency cannot be overstated. It started out like a regular Thursday evening at one of Dr. Sher’s favorite dinner restaurants. That all changed when a manager of the restaurant asked Dr. Sher to help a non-responsive person who was lying on the ground, not breathing, and had a bluish-grey skin color. The restaurant team had already called 911 but Dr. Sher determined the patient was in imminent danger. Dr. Sher immediately began CPR and directed use of the restaurant’s defibrillator. The victim gasped and resumed breathing. By the time the emergency responders arrived, the person had come-to and was transported to a nearby hospital. Thankfully, the grateful family and person reported to Dr. Sher the next day that all was well. Dr. Mandel Sher saved a stranger’s life. 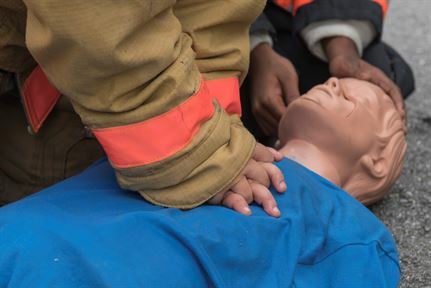 While Dr. Mandel Sher is a Cough Doctor by day, he emphasizes that each one of us can learn to determine when someone is in need of CPR and learn how to administer CPR. 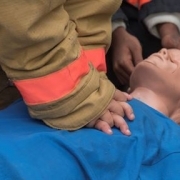 Knowing CPR can make the difference between life and death. Dr. Mandel Sher is grateful that the person is well and that he was there – prepared to assist. Dr. Mandel Sher is a Cough Specialist. Cough is a very common medical condition. In fact, cough is the number one reason people visit a doctor. But some coughs linger for weeks, months, or even years. Sometimes, in spite of really good doctors who try their very best to resolve a persistent or chronic cough that does not have an underlying medical condition, those doctors and the cough treatments they try, fail and the person continues to cough. Very often, persons with Chronic Cough are told to “learn to live with it.” A persistent cough that lasts for around 8 weeks or longer is a serious problem that produces debilitating consequences for the person suffering with cough and their loved ones and colleagues around them. Chronic Cough is treatable and can be resolved. Dr. Mandel Sher is a Cough Specialist. He is helping patients achieve REMARKABLE results even if they have seen many other doctors and failed other cough therapies. Dr. Mandel Sher WILL help you. Dr. Mandel Sher is a Chronic Cough Specialist. In addition to helping persons with Chronic Cough relieve and resolve cough, Dr. Sher also conducts clinical trials for new cough treatments with scientists, researchers, and physician colleagues around the world, and is a frequent contributor to the medical community on evolving paradigms for diagnosing and treating Chronic Cough. Thank You to those who have shared a Cough Patient Success story with Dr. Mandel Sher and Center for Cough team. Please consider sharing your Cough Success story with Dr. Mandel Sher in an online review. 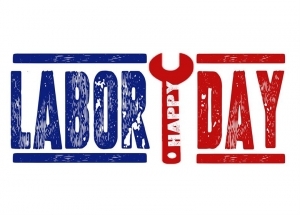 Labor Day: Does Your Workplace Make You Sick – Really! 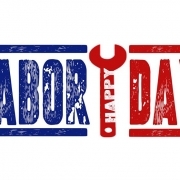 Labor Day recognizes the important contributions of our great nation’s workers. 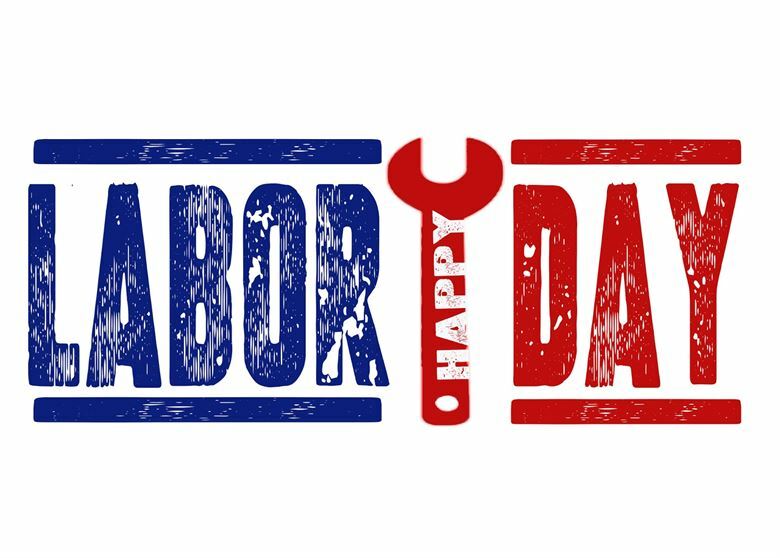 So, as we honor our nation’s workers, it is appropriate to ask: Does Your Workplace Make You Sick – Really! Dr. Mandel Sher and Center for Cough team care for so many people in the workforce whose professional performance is being compromised by Chronic Cough – Attorneys, Salespeople, Telephone Communicators – people whose work involves a lot of speaking and produces a dry throat. And, there are people who have an allergy or sensitivity to something in the workplace environment that produces a throat tickle and urge to Cough. Yes! Your Workplace Can Make You Sick! You Really Can be Allergic to Work! Your Cough Can be Triggered by Something in Your Work Environment! Dr. Mandel Sher: Cough Specialist. Itchy eyes? Trouble breathing? Cough? The trigger making you feel miserable may be inside, not outside. If your symptoms worsen as the workday progresses and lessen after you leave work or while you are enjoying time off, then you may suffer from a workplace trigger. Now the really tough question is what to do about it. Begin by finding out if this is a sensitivity to an irritant that makes you feel uncomfortable but is not dangerous, or a real allergy that can produce a life-threatening allergic reaction. Check out The Occupational Safety and Health Administration’s (osha.gov) guidelines for handling workplace triggers. What do you do when how and where you earn a living is producing a misery-generating sensitivity or dangerous allergic reaction? Dr. Mandel Sher and Center for Cough team are dedicated Chronic Cough Specialists – one of the very few in the nation. Dr. Sher is helping countless people who are feeling frustrated and hopeless by a Cough that wouldn’t go away. Many of these people who have suffered with a Persistent Cough for months or years have seen other doctors and failed cough therapies. http://centerforcough.com/wp-content/uploads/2018/08/labor-day.jpg 558 780 Center For Cough http://centerforcough.com/wp-content/uploads/2016/03/cfc-logo-300x82.png Center For Cough2018-08-30 11:50:352018-08-30 11:50:35Labor Day: Does Your Workplace Make You Sick - Really! Knock, Knock. Who’s There? It’s Dr. Mandel Sher, a world-class Cough Specialist and pretty good joke teller. Today, August 16, 2018, is National Tell a Joke Day. 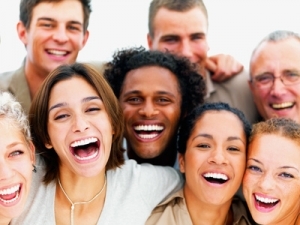 Laughter is good for your health; but is laughter good for your Cough? Have you ever noticed that your Cough kicks-in after a really hard belly laugh? Not surprising. The nerves that are involved in the laughing reflex are the same nerves that are involved in the Coughing reflex. Therefore, triggering the laughing reflex can also trigger the Coughing reflex. The laughing and Coughing sequence is common. But, if you suffer from Coughing fits that seem to be unexplained and produced without a specific trigger, then you may have Chronic Cough. Chronic Cough is a common medical condition. It is under-diagnosed and often ineffectively treated by physicians. Sometimes, Chronic Cough is an indication of an serious underlying medical condition. Often, Chronic Cough is THE problem. Dr. Mandel Sher is a world-class Cough Specialist. Dr. Sher and his global physician, scientist, and researcher colleagues are evolving the paradigm for treating Chronic Cough. Dr. Mandel Sher and the Center for Cough team WILL RESOLVE Your Cough – even if you have been Coughing for years, have seen other doctors, and failed cough therapies. Contact Dr. Mandel Sher: 727-393-8067. So, go ahead and laugh often and laugh hard. 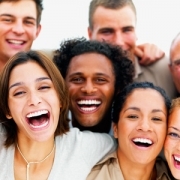 Laughter is an effective stress reducer, immune system booster, and is contagious. Laughter is indeed the best medicine. As if Coughing is not enough discomfort for one person to bear, some people experience Cough Headaches associated with Coughing. 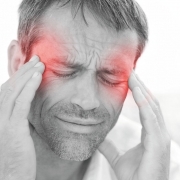 There are different possible medical conditions triggering Cough Headaches. The type of Cough Headache being addressed here is one that is triggered by Coughing, happens occasionally rather than being continuous, lasts for a brief time, and improves on its own or with minimal intervention. Cough Headaches affect Men more than women and people over age 40. 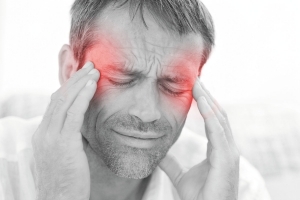 Cough Headache can be associated with coughing. Dr. Mandel Sher offers comprehensive & integrated Cough treatment. Cough Headaches are not a common type of headache. They can be painful and exaggerate the discomfort and dysfunction associated with Coughing. How long your Cough and Cough Headaches are going on? Chronic Cough is a complex medical condition that by itself is tough. Cough Headaches and other common Cough-associated conditions such as Daytime Fatigue, Urine Leaks, Muscle Aches, Un-Focus, Anxiety, Depression, Social Isolation and other make Chronic Cough even harder. You should not learn to live with Chronic Cough and its associated symptoms. Dr. Mandel Sher is a Cough Specialist dedicated to accurately diagnosing the causes and triggers of Chronic Cough and targeting personalized and comprehensive treatment to achieve Cough relief and resolution. Dr. Sher is helping people suffering with Cough to achieve REMARKABLE reduction in Cough frequency and intensity and an overall improvement in the quality of daily life. Dr. Mandel Sher and Center for Cough’s professional services are approved by Medicare and other insurers. 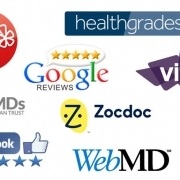 Dr. Sher approach is traditional, evidence-based medicine. The differences are rooted in a comprehensive and integrated approach to Cough treatment. Even if you have seen other doctors for your Cough, tried other Cough therapies and are still Coughing – Come feel and hear the difference with Dr. Mandel Sher at Center for Cough: 727-393-8067. Endurance athletes who cough during or after intense exercise. See Dr. Mandel Sher: 727-393-8067. Exercise! 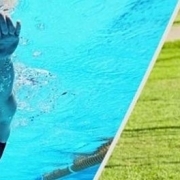 You’re a runner or swimmer or another type of endurance athlete. You’re working-out intensely, feeling fit and great, and then you burst into a coughing fit after your workout. Mood Buster! You didn’t have any symptoms before your exercise, so what gives with this hacking cough? Why can’t you catch your breath? Coughing during or after exercise can be a symptom of a condition called exercise-induced bronchoconstriction. “This makes it more difficult for the air to get through into the lungs,” says Jonathan Parsons, M.D., director of the Ohio State University Multidisciplinary Cough Program. Cough is a common symptom among athletes. Other common triggers can include: respiratory infection and environmental exposures like cold dry air. A less common trigger but one to be considered is exercise-induced vocal cord dysfunction. Exercise Should be Good for You! Contact Dr. Mandel Sher if you have recurring hacking coughing fits during or after exercise. Dr. Sher is a Cough Specialist who will listen to your cough history and story, perform a comprehensive evaluation of the cause and triggers, and help you achieve remarkable Cough Resolution Results. Dr. Mandel Sher at Center for Cough: 727-393-8067. 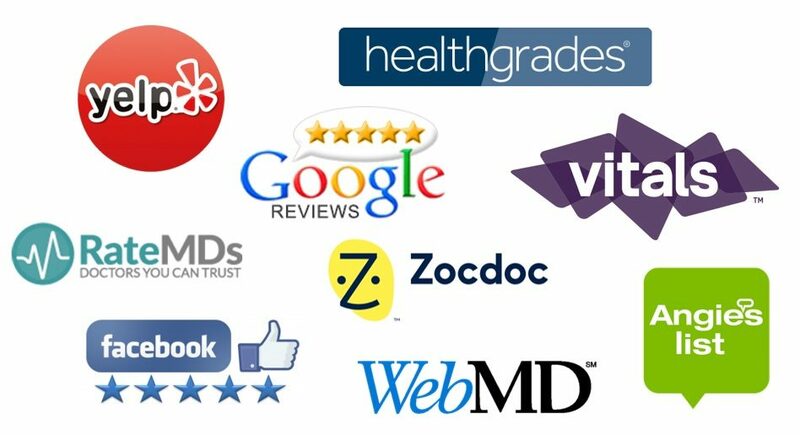 If this sounds like your experience, then see Dr. Mandel Sher to check it out. Find out what it is and what it is not. Self-diagnosing and self-treating alone can waste time and money and prevent you from identifying the underlying medical condition. See Dr. Mandel Sher to learn how to manage the underlying medical condition and get through an exercise episode with sweat only. Dr. Mandel Sher offers a comprehensive and integrated approach to treating and resolving Cough. Dr. Sher and Center for Cough’s approach are evidence-based with a twist of innovation. Medicare and other major insurers approve Dr. Mandel Sher and Center for Cough’s services. Contact: 727-393-8067. Dr. Sher’s education and training credentials include: Northwestern, Duke, Harvard, and the University of Michigan. In addition to caring for people with Cough, Dr. Sher collaborates with global Cough scientists and researchers on Clinical Research Trials that evaluate Cough therapies for improved outcomes, and is a frequent contributor to the medical community’s Cough understanding. Marijuana Smoking Doubles Your Risk For Developing a Hacking Cough. 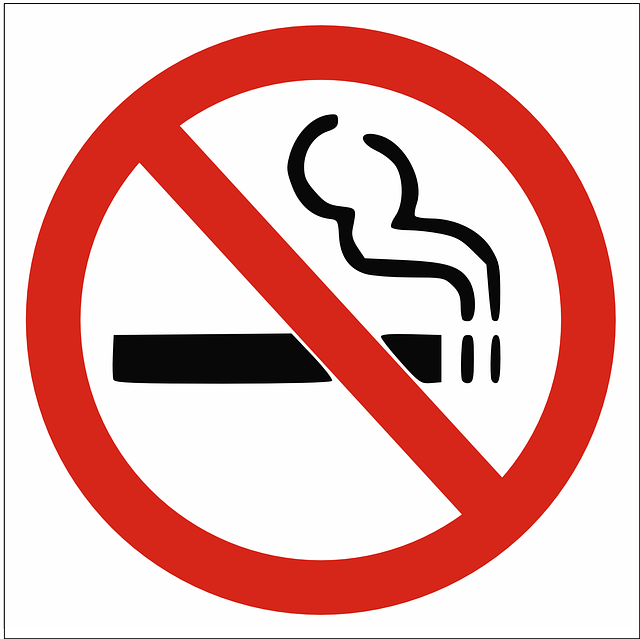 It’s old news that tobacco smoking is bad for your health. Now along comes an evidence-review of 22 other studies evaluating the impact of marijuana smoking on your health. 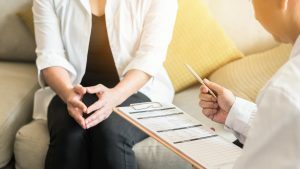 The review was conducted by Dr. Mehrnaz Ghasemiesfe of the San Francisco VA Medical Center and recently published in the Annals of Internal Medicine. Bottom line: Smoking marijuana once a week doubles a person’s risk of developing a regular hacking cough. Other adverse impact of marijuana on health was also reported. A hacking cough that lingers for 8 weeks and longer should be evaluated by a Cough Expert. Sometimes, a persistent cough is a symptom of a serious, underlying medical problem. Sometimes a Chronic Cough IS THE PROBLEM. Contact Dr. Mandel Sher: 727-393-8067. www.centerforcough. Find out how Dr. Mandel Sher WILL help you relieve your cough. Dr. Sher is one of the nation’s leading Cough Specialists. All of Dr. Mandel Sher’s professional services at Center for Cough are Medicare-approved as well as approved by most private commercial insurers. In addition to evaluating, treating, and helping people with Chronic Cough to achieve REMARKABLE Cough Relief and Cough Resolution, Dr. Mandel Sher collaborates with scientists and researchers around the world to develop new cough drugs, offers people suffering with Chronic Cough an opportunity to participate in clinical trials as a treatment option, and is a frequent lecturer at professional medical meetings and contributor to the medical community’s understanding of Chronic Cough. What do you call a gathering of international clinician and scientist experts in cough? 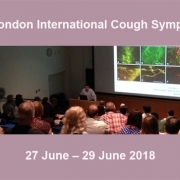 : The Tenth London International Cough Symposium happening in London, June 27 through June 29. 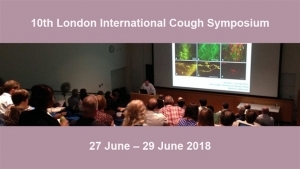 This series of International Symposia on Cough was initiated by the late Professor John Widdicombe in 1999. The Symposium will feature experts’ contributions from: Australia, Belgium, China, France, India, Italy, Japan, New Zealand, South Korea, United Kingdom, United States, and more. There will be lectures, round-table discussions, poster presentations, and lots of opportunities for informal interactions. The Symposium will include a review and discussion of the latest research findings and future Cough treatments. In alternating years, The American Cough Conference is held state-side, chaired by Dr. Mandel Sher’s esteemed colleague, Dr. Peter Dicpinigaitis, Professor of Clinical Medicine at Albert Einstein College of Medicine in New York. The next American Cough Conference will be from June 7 through June 8th, 2019 in a United States location. 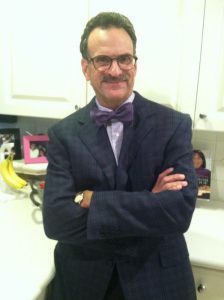 Dr. Mandel Sher is a Cough Specialist and Cough Expert. He is helping people with Chronic Cough to achieve remarkable Cough relief and resolution – even when they have been suffering for years, have seen other doctors, and failed previous Cough therapies. Dr. Mandel Sher is grateful to his Cough clinical, scientist, and research colleagues for working tirelessly along with himself to improve Cough understanding, treatment, and outcome. Stay tuned for the proceedings of the London Symposium which will be available through live streaming and published at a later date. Here’s to a productive Tenth London International Cough Symposium!